Our speaker will be Margaret Cheney, who is currently the president of the Ohio Genealogical Society. Margaret's program will be highlighting the Pioneering Women who moved west to adventure. Join us for this lighthearted and meaningful program. Hope to see you there. OGS 2019 will offer the tools and skills you'll need to help build your heritage. More details and brochure will be available closer to the event. Learn about the unique resources available from this database including military records, city directories, naturalization records, and more. This class meets in Computer Lab 1, First Floor, Main Library. Registration requested; call Special Collections at 330-643-9030 or email them at speccollections@akronlibrary.org . FindMyPast contains a wide variety of genealogical records, but it's especially strong in British and Irish records. Learn what FindMyPast has to offer and how to use it effectively. This class meets in Computer Lab 1, First Floor, Main Library. Judy Russell, the Legal Genealogist, will be the guest speaker for this free event. 9:30 - Welcome And Introductions. Judy G. Russell is a genealogist with a law degree who writes and lectures on topics ranging from using court records in family history to understanding DNA testing. Her award-winning blog can be found at http://www.legalgenealogit.com . 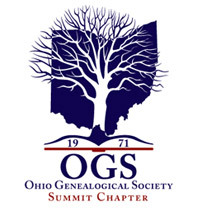 The event is co-sponsored by the Summit County Chapter of the Ohio Genealogical Society. Join us for this free all-day program on ethical and legal issues in genealogy. Please note that registration will be required.